Are you ready to begin the new year? Do you have your ONE WORD yet for the New Year? If not, it’s time to find out what your ONE WORD for 2018 is. 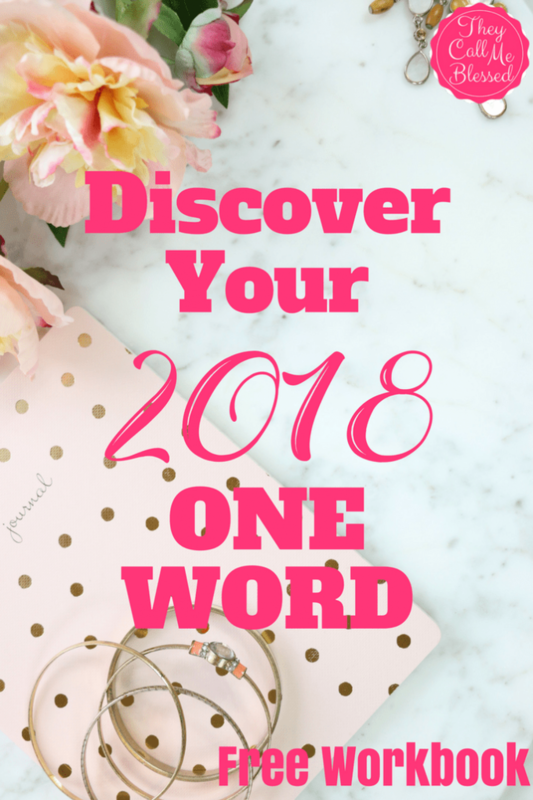 Check out this free printable Discover Your One Word for 2018 by They Call Me Blessed. This workbook will help you go through learning what your one word or theme for the New Year is.